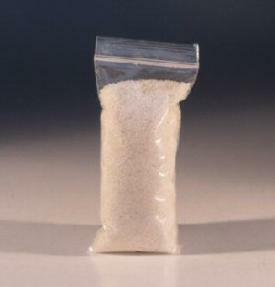 Terra-sorb hydrogel is a high quality, long lasting potassium acrylamide copolymer gel in granular form that absorbs hundreds of times its weight in water and slowly releases water into the root zone for use by plant roots. Can be used for all potted plants. The use of Terra-sorb reduces watering frequency significantly and helps prevent plant loss due to drought. Terra-sorb is safe, non-toxic and PH neutral. Great for vacation trips. Remove 25% of the existing soil in houseplants and mix 1 tsp to remaining soil and water-in well.